Compared to chemotherapy, immunotherapy side effects are usually mild. Unfortunately, when immunotherapy does cause severe side effects, they are highly unpredictable. The developing science of immunotherapy has led to some of the greatest breakthroughs in cancer treatment in the past decade. Checkpoint inhibitors such as pembrolizumab (Keytruda), nivolumab (Opdivo) and ipilimumab (Yervoy) are gaining popularity as off-label treatments for mesothelioma. In certain cases, the new class of drugs has proven effective against even the most treatment-resistant tumors. Sarcomatoid mesothelioma survivor Gene Hartline found success with Opdivo after chemotherapy stopped working. While the science behind immunotherapy dates back to the 1890s, doctors cannot yet determine the potential benefit and risk of current therapies for each individual patient. A large fraction of patients experience little benefit from immunotherapy, and a small percentage suffer life-threatening side events. Chemotherapy and immunotherapy affect the body in different ways. Because immunotherapy is a much newer treatment compared to chemotherapy, the medical community has little experience identifying and responding to its side effects. Patients receiving immunotherapy must be proactive to prevent misdiagnosis of side effects. Chemotherapy is one of the most established forms of cancer treatment. It uses drugs that attack all rapidly dividing cells in the body. This is often an effective way to target cancer cells, but it also damages many of the body’s normal cells in the process, leading to harsh side effects. Immunotherapy, on the other hand, helps the body’s own immune system fight cancer cells. In particular, checkpoint inhibitors disable certain molecules that keep immune system cells inactive. As a result, the body’s immune system goes into high alert, giving it a much better chance of finding and destroying cancer cells. The standard chemotherapy regimen for mesothelioma has not changed much since 2004, when the U.S. Food and Drug Administration (FDA) approved the combination of pemetrexed (Alimta) and cisplatin as a first-line treatment. By contrast, the first FDA approval of a first-line immunotherapy treatment for lung cancer came in 2017 with Keytruda. All immunotherapy for mesothelioma remains experimental. Why Are Immunotherapy Side Effects Dangerous? Checkpoint inhibitors such as Keytruda and Opdivo are not designed to hurt cells directly, which is why they typically have much milder side effects than chemotherapy. Patients may feel as though they are fighting the flu, because their body reacts much like it would to a viral infection. However, an overactive immune system can also target healthy cells by accident, which causes the rare and dangerous side effects of immunotherapy. These adverse events can occur in almost any part of the body — seemingly at random — which makes them easy to misdiagnose. Most doctors are familiar with chemotherapy side effects, but if a cancer patient goes to the emergency room with a severe rash, vision problems or inflammation in their liver, ER doctors may not suspect it is actually a negative reaction to a new immunotherapy drug. Managing severe immunotherapy side effects may require corticosteroids or other types of medication that control the immune system. If uninformed doctors waste time trying to treat the wrong illness, the patient could suffer permanent tissue damage or death. In general, immunotherapy is less toxic than chemotherapy. Many cancer specialists are optimistic ongoing research in clinical trials will make immunotherapy even safer and more effective than it is today. In the meantime, the key to receiving immunotherapy safely is to consider how unpredictable its side effects can be. Tell your oncologist about every health issue you experience, even if it seems unrelated to your cancer. When you see other medical specialists, make sure they know you have received immunotherapy, and give them the contact information of your oncologist. If you develop a health problem after receiving immunotherapy, make sure your health care providers consider the possibility it may be a side effect. In most cases, immunotherapy side effects can be treated with medication or will fade away on their own after you stop receiving the therapy. McGinley, L. (2018, January 2). New cancer treatments have perplexing side effects. Puzanov, I. et al. (2017, November 21). Managing toxicities associated with immune checkpoint inhibitors: consensus recommendations from the Society for Immunotherapy of Cancer (SITC) Toxicity Management Working Group. National Cancer Institute. (2017, May 4). 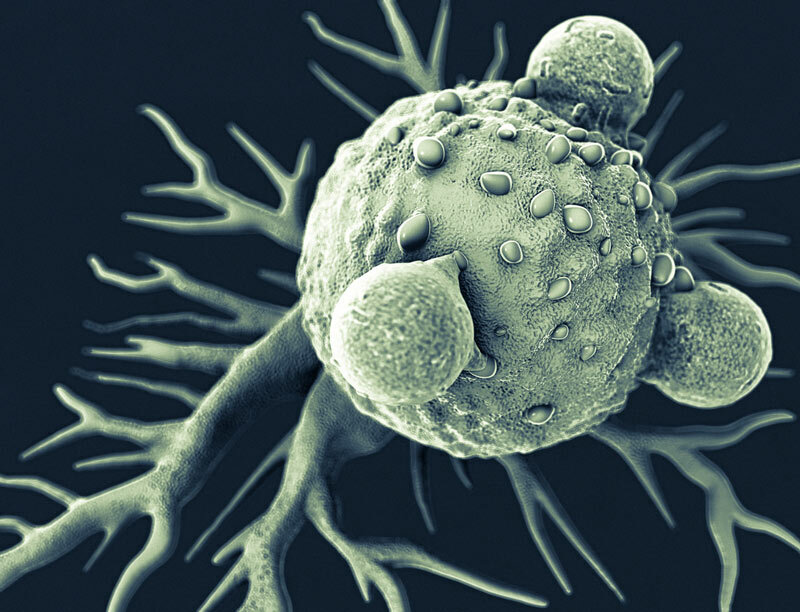 Immunotherapy to Treat Cancer.